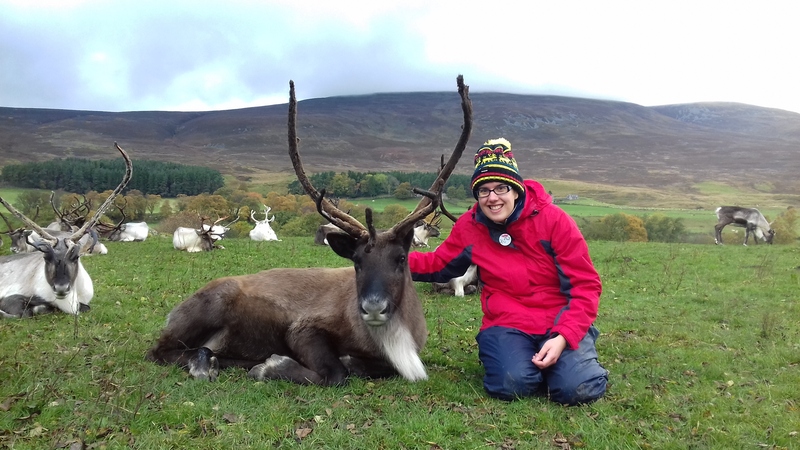 My name is Emm Cassidy and I come and volunteer at the Cairngorm Reindeer Centre for a week at a time which happens normally about once or twice a year. I live in the county of Worcestershire in a little village called Astwood Bank with my mum and dad. I am normally a very anxious and shy person who gets mentally tired very easily. It takes me more time to process things e.g. what is being said to me. I have a diagnosis of Aspergers Syndrome. It also affects how I interact with people and I find it very hard socializing. I normally work as Teaching Assistant at a local school teaching children to read or helping the children who have special education needs, but usually can only work part time as full time work is too much for me. However, when I get into Reindeer House and become a reindeer herder, I become a totally different person. Being at Reindeer House is brilliant; the herders are like my second family. Everyone is so friendly and it is like seeing your very old friends again and I fit in perfectly. It is a very special feeling and I feel I am understood. I feel I don’t have the same challenges as normal, and that I can be myself with the herders – even saying jokes and speaking much more than I normally do at home. The reindeer herders bring the best out of me and my mum and dad are amazed with the change in me. I really love reindeer and everything I do as a reindeer herder has given me so much more confidence. The changes in me are huge. As a reindeer herder I do things that I can’t do at home. My time at reindeer house this time was in my October half term for a week. The Saturday and Sunday was the 65th Adopters Weekend which was very busy and had lots of activities going on during both days (see last week’s blog). This included one day at the reindeer centre and one day at Tilly’s and Alan’s farm. It was a very special and lovely weekend meeting different adopters and hearing their stories and finding out who they adopt. I felt very honoured to help out and even had my own name badge! 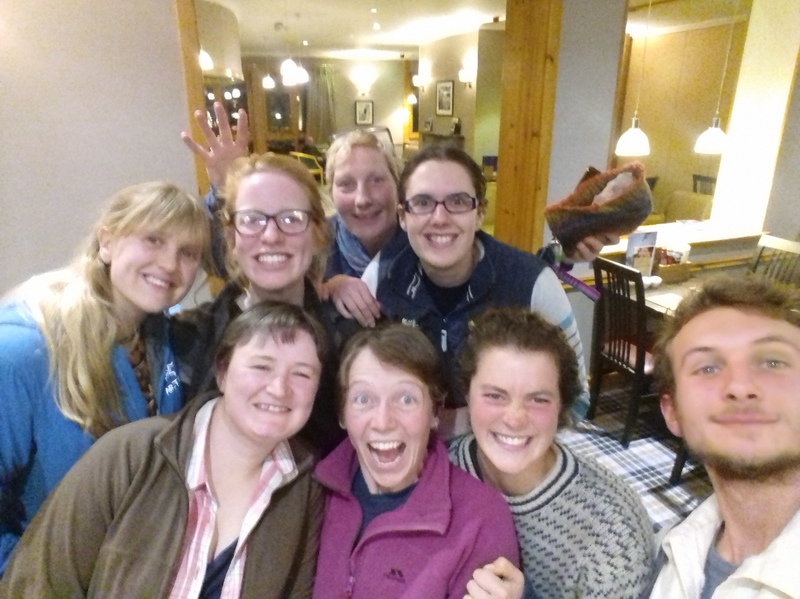 Afterwards, me and the reindeer herders went out for a meal at Glenmore Lodge to celebrate which Tilly had treated us to it to say a massive thank you for working hard at the 65th Adopters Weekend! Our lovely meal out at Glenmore Lodge with some of the reindeer herders. After a hill visit, me and Morna went to the bottom of Silver Mount as the female reindeer Chelsea and her calf Shakespeare didn’t want to come in with the herd. Shakespeare also looked thin and had a history of having a leg injury. When we got to the bottom of Silver Mount, Chelsea wasn’t interested in the food Morna had. Chelsea is a very shy reindeer and has a wild side to her. So the only option was to herd Chelsea and Shakespeare to the tempory holding pen. Firstly we herded them through the gate into the bottom bit of the East Enclosure. By using our body language, speed and movement, me and Morna herded them across the East Enclosure. It was very breath-taking as one false move could startle them and they could have ran off into the wrong direction. I felt like a sheep dog and I found it amazing that we managed to herd them where we wanted them to be by just using ourselves. 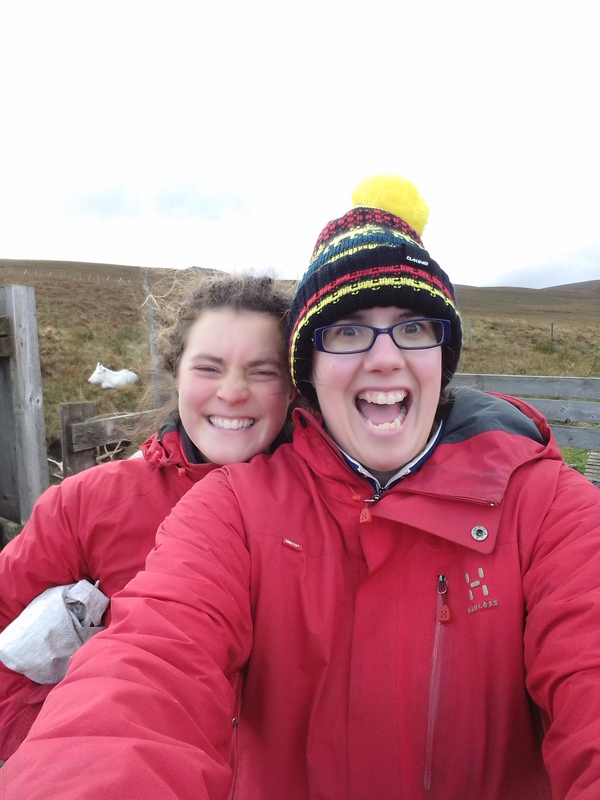 Morna and me were so happy and felt we have both achieved such a massive thing, it was such a very special feeling. After getting Chelsea and Shakespeare in to the tempory pen, we had to take Shakespeare’s temperature as he looked thin and didn’t come in with the rest of the herd. That could be a sign that a reindeer is poorly. Earlier that day I had learnt to take a reindeer’s temperature and I had taken Bovril’s temperature with Morna’s help whilst Olly held Bovril in place. But now came the real test. Catching a calf who has a mother who has a wild side could be difficult. Both of them wasn’t interested with the food Morna had so Morna decided to put the food on the floor. Morna managed to get close to Shakespare and then get hold of him. It was up to me to independently find Shakespeare’s bottom hole to put the thermometer in so we can find out his temperature. I managed to do it and held the theomter in place till it beeped which meant it was ready. I felt a huge sense of achievement and was so proud of myself. Happy faces after a successful morning with Morna on the hill! I have never done a sleigh training session with the reindeer so I was excited to see how it was all done. For part of the Adoption Weekend, I helped out with 2 sleigh training sessions. I helped to catch the reindeer in the paddocks and I led the male reindeer North out. There were lots of people waiting to watch the sleigh training session. I felt a bit nervous of the amount of people but it was ok as we had the reindeer and I was there to help and learn. It was lovely to see the people’s reactions when they saw the reindeer getting their harnesses on and then pulling the sleigh which then relaxed me. I passed the harnesses to Fiona and Tilly who put them on the reindeer. 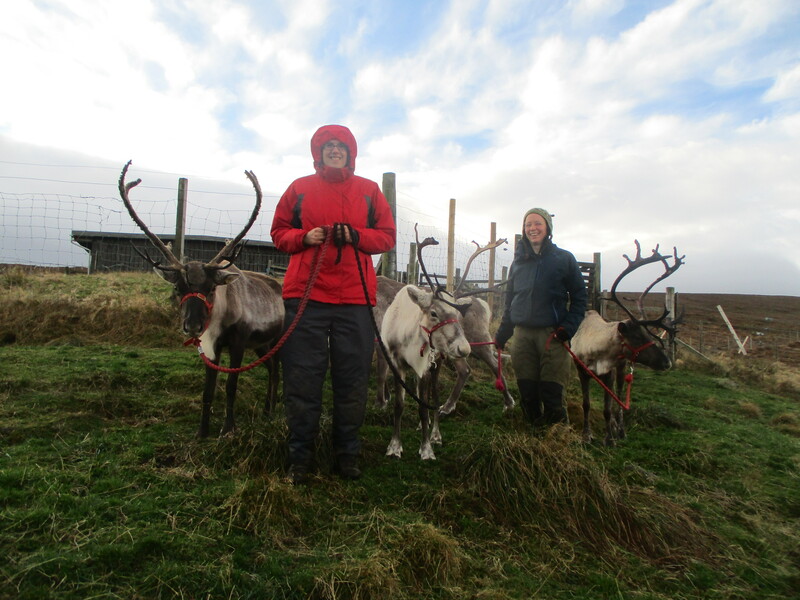 I got to hold 2 reindeers lead ropes whilst the harnesses were being put on. I then tied North to the back of the sleigh. Bovril was being a bit stubborn pulling the sleigh so I walked behind him and Fiona had taught me to touch his tail to get him moving again if he stopped. Tilly and Fiona taught me how to detached the reindeer from the front of the sleigh and then attach them to the sleigh and also take the harnesses on and off. 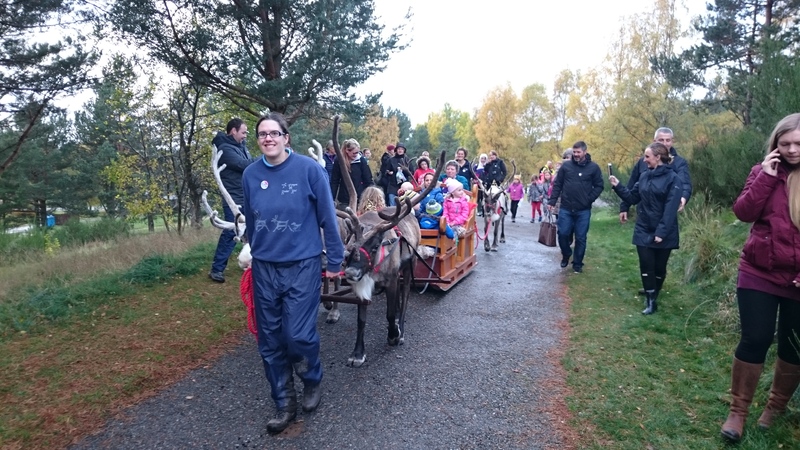 I also got a turn of being behind the sleigh with 2 reindeer and also led the sleigh which was such an amazing feeling. It was so brilliant being part of the sleigh training team doing a display to show how we train the Christmas Reindeer. Me leading a sleigh, giving rides to 6 children! I also tried to get my confidence up with answering the phone which I find terrifying as I don’t know who is at the other end. If I am not sure what to say, I now know I can pass the phone on to someone else. I decided to give it as go a few times. The first time was an enquiry about the 11am hill trip. Unfortunately I had to tell them that it was fully booked and that we couldn’t take any more cars on as we had 30 cars going. I also told them that there was a paddock talk which was happing in the paddocks at 11am. Olly had heard me on the phone and said afterwards I was a superstar. He said that I said what I had to say about the hill visit being booked up. The second time I answered the phone, it was a person asking for Fiona who wasn’t working that day. I told the person that Fiona wasn’t working and that I could take a message or a name and number. I normally find meeting new people and busy crowds terrifying. The groups we take up to see the reindeer are quite busy and are full of new people. I found it scary on my first day the first time with the amount but then I got use to it. Taking people up to see the reindeer is amazing as some people haven’t seen reindeer before. I love seeing people’s reactions when they see the reindeer or are hand feeding them and it is so lovely being part of their magical experencice being with the reindeer. As everyone loved reindeer, I found it so much easier to relate to people. It is great as I could answer their questions and it was lovely to see people’s reactions when I had taught them some new facts about reindeer! It was so interesting to find out where people had come from as lot was in Scotland on holiday. One trip, I found out a family lived near me and I found out that they have the same dentist as me! It is such a small world! In the past I have taken part of the tour and given the starter talk and the herd history talk to the hill visit people. A very massive achievement for me which gave me lots of confidence. 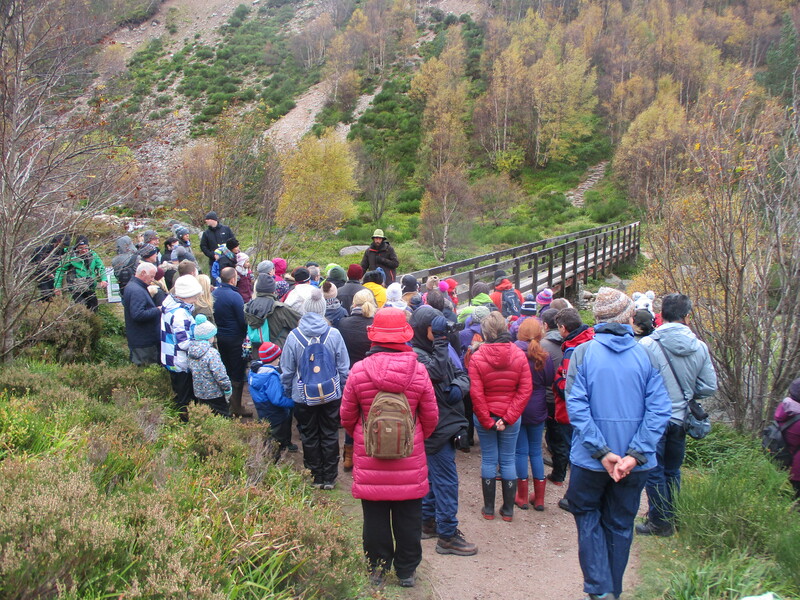 A large group on the tour, stopped down at Utsi bridge to listen to Dave. 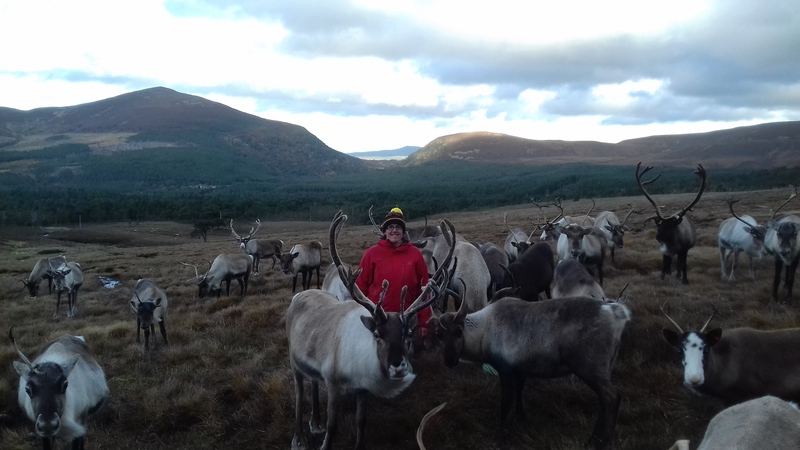 Being around the reindeer and being around the brilliant company at reindeer house brings the best out of me and makes my anxiety go away and makes my thoughts more manageable. It makes me reach goals and achievements which would be harder for me to achieve at home. I feel I can relate to life and things become less daunting for me! I become a happier person too! It is also like living my mindfulness which I do a lot of at home! It is such a very special feeling when you have a herd of reindeer following you up the board walk whilst carrying their breakfast on your back or a herd of reindeer running down the mountain towards you responding to your call as they know that you have got their breakfast to give them! I learn so much from everyone at reindeer house about handling reindeer, being around reindeer and dealing with people. It makes me realise the good in life and makes me realise that I can achieve things when I push myself! Fiona said people come and people go from reindeer house but reindeer house is always an open door for everyone and that everyone is welcome back anytime! On my last day I was really sad to leave and it was so hard to say goodbye to everyone, Mo (my adopted reindeer), the reindeer and dogs! Fiona said that Mo, the reindeer, the dogs and everyone will be waiting for me to come back again which will be hopefully soon! Well done, Emm! Your blog about your experiences was a pleasure to read. I enjoyed your description of your adventures. Very proud of you for pushing yourself and finding a place where you can BE yourself. Who knows, one day you might become a full-time herder! Well done AGAIN Emma. It was wonderful to read your informative blog, and hear how happy the experience made you feel. Yet more achievements! Is there no end to your talents! I am so proud of you . Congratulations. Next PostNext Snow has arrived!